A women's safari print apron that I made for a face painter, but she decided on a different style. 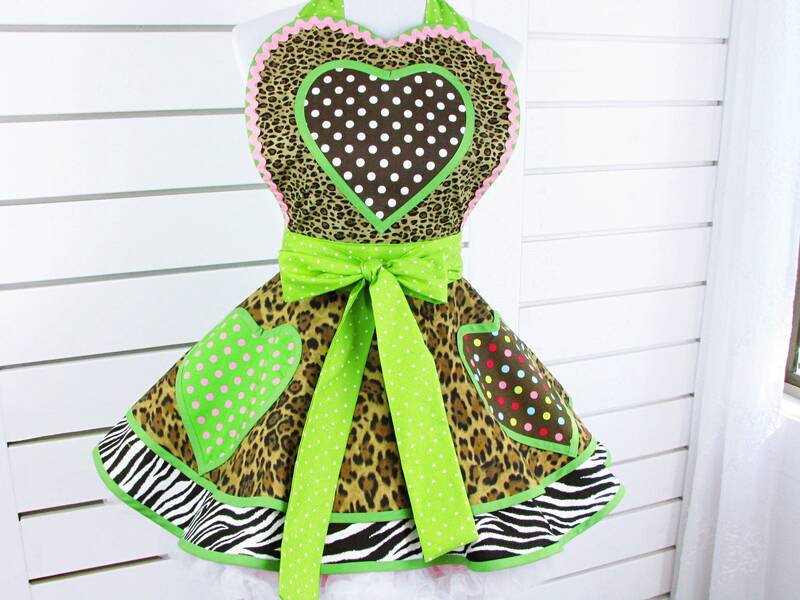 Anyhow, this would also be cute for a balloon twister, a performer, and just for baking in your kitchen. Super sweet animal prints and polka dots! This is an XL, waist 30".